Despite of its tiny size and light weight( 50grams only), the Digitech-i Magnetic stand holder is actually quite amazing. 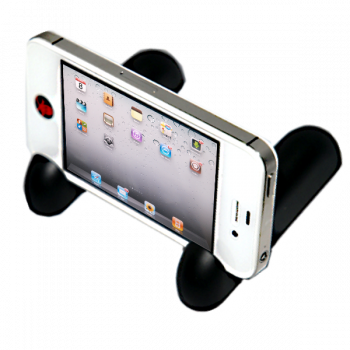 Not only you can use it as stand holder both for iPhone and iPad in many positions, you can also use it on various kind of gadgets such as tablet, digital frame and etc. Its rubber-coated surface won't cause any scratches on your gadgets, it's so easy to carry around that you can display your iphone/ipad in a comfortable position Anytime, Anywhere.